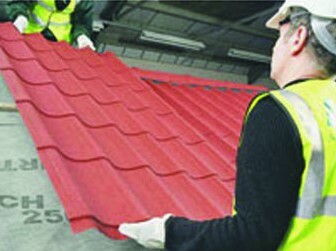 These lightweight tile profiled sheets can be a cost effective solution for your roofing requirements. They are available in a range matching the profile of the most popular roof tiles and include a range of flashings and accessories. BRITMET Metal Tile Effect Sheets Pantile 2000. BRITMET Lightweight Metal Slate 2000. BRITMET Lightweight Profile 49 Metal Tile. BRITMET Lightweight Plain Metal Tile. JORISIDE Permapan Insulated Roof Tile Panel. KINGSPAN Insulated Roof & Wall Tile Panel.